A daughter of Galileo, she was last seen running a fine race to be second in the Pegasus World Cup Turf Invitationalat Gulfrstream Park in January. O’Brien said: “Magic Wand did a bit of work with a lead horse and we are thinking of going to Dubai with her. Per HRN, Hall of Fame jockey Edgar Prado, 51, posted to his Twitter account a copy of Saudi Arabian rules saying licensed riders must be no younger than 16 and no older than 50 — something he didn’t know until making a recent move overseas. The native of Peru began 2019 riding at Gulfstream Park, where he won one race from 10 starters. He last took a leg up in the U.S. on Jan. 26, when he rode Something Awesome to a 10th-place finish in the Pegasus World Cup (G1). By Feb. 1, he was riding overseas, at least until discovered to be too old for it. Meydan Group has released the list of horses accepted for the 2019 Dubai World Cup Carnival, which commences on January 3, 2019, at Meydan Racecourse. The list features 202 accepted horses conditioned by a total of 71 trainers from 17 countries. Several international stars are set to travel to Dubai this winter to compete for a share of the US$12,670,000 prize money—an increase of 12% from 2018—across 10 race cards, including 61 Thoroughbred races and 4 Group Purebred Arabian races. 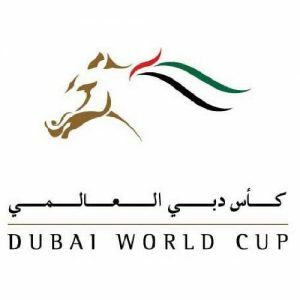 Noted invitees for this first invitation round for the Dubai World Cup Carnival include Ken McPeek-trained Senior Investment, Harlan Strong and Grecko. Belmont Stakes runner-up Gronkowski and Pennsylvania Derby runner-up Axelrod are also listed as Carnival invitees. Sandeep Jadhav is listed as the trainer for both horses should they ship overseas. Gronkowski is trained by Chad Brown, while Mike McCarthy trains Axelrod. A different invitation process will lead to more U.S.-based horses being invited to run on Dubai World Cup night. Mubtaahij will get his audition for the $10 million Dubai World Cup (G1) in the $200,000 San Pasqual Stakes (G2) at Santa Anita Park. It hasn’t been a great few days for Dubai. First, the weather has been more akin to that in England and then Donald Trump opened up a new golf course. Oh, and then there is the small matter of another couple of trainers receiving a year ban for the use of cobalt. More significant this time is that one of them is not far off the top of the tree. Mussabeh Al Mheiri has been responsible for 378 winners in the UAE, including a double on World Cup night last year courtesy of AF Mathmoon and Muarrab, with Sheikh Hamdan his main supporter. There is no defending the indefensible, and far better journalists than me will comment on the worldwide ramifications of the spate of failed drug tests in Dubai this season, but the Emirates Racing Association are at least seen to be doing something and the sniggering from afar regards brushes and carpets can stop, regardless of whether they feel the bans are lenient or not. Anyway, on to the action taking place on the track this week, and a classic looks in store for the feature Nad Al Sheba Trophy, a prep for the Dubai Gold Cup on March 25. It may well be a prep, but two of the highest-rated stayers in Europe will lock horns in the form of Vazirabad, the winner of the Dubai Gold Cup last year, and Sheikhzayedroad who took this corresponding event. The preparation for Sheikhzayedroad will be the same, literally straight off the plane and running whereas Vazirabad has been here for a few weeks now, but that certainly didn’t hinder work companion, Zarak, who was so impressive last week. 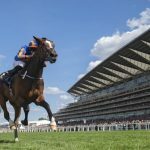 My gut feeling is that Sheikhzayedroad will just be the straighter and David Simcock will be hoping for a change of luck, having had just one winner from 46 runners here over the past three years. Many of the same fillies that took part in the UAE 1000 Guineas will contest the Oaks, and the market hasn’t missed the fact that Complimenti, drawn 13 and 11 on her last two starts, has now struck lucky with a pitch in stall 2, and that could be enough to see her reverse form with the three that finished ahead of her. There is obviously the extra distance to go as well, on paper perhaps only Melesina guaranteed to be suited by it but she seemed completely ill at ease on the surface in the Guineas so couldn’t be supported. Another race to leave alone. As also is the newly-created Curlin Handicap, a race won by California Chrome last year with Mike de Kock hoping that his Mubtaahij can complete the Curlin/World Cup double. As mentioned last week, it hasn’t been a great Carnival for de Kock, and it will turn into a miserable one if Mubtaahij can’t defy top weight. He hasn’t won since the 2015 UAE Derby but he has plenty of high-class form both here and in America, and the cream usually rises to the top in this type of uneven handicap. Godolphin could well dominate the Meydan Classic with Fly At Dawn and Really Special likely to be popular. Both are switching from the dirt, surprisingly so in the case of the former who landed the UAE 2000 Guineas trial but missed the Guineas itself due to a facial injury sustained in his box at home. The Al Bastikiya had been mentioned, but with Thunder Snow stepping up to the plate last week, Godolphin presumably feel it is best they don’t lock horns. It hasn’t often paid to look too far beyond the obvious throughout the Carnival, particularly where Godolphin are concerned, but the each-way value looks to lie with Grey Britain who was far better than the bare result in the trial. He got shuffled back into a poor position before staying on late despite meeting trouble, his jockey Martin Harley picking up a ban and missing out on Sheikhzayedroad for his troubles. It is worth remembering he wasn’t beaten far by the likes of Rivet and Blue Point last season and that form will see him involved. Oh This Is Us was an unlucky loser last time and he can hopefully make amends in the concluding handicap over 7f. Dropped in from a wide draw on that occasion, he got going too late having met trouble, eventually closing to within a head of Salateen and off the same mark his case is obvious. Largely progressive throughout his career, stall 1 will make things easier for Pat Dobbs and the presence of Bravo Zolo does at least ensure Oh This Is Us is a decent price. 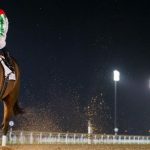 A brief flurry of excitement this week with the release of the nominations for Dubai World Cup night, the excitement stemming from the fact Arrogate was among them. Let’s face it the race is in need of boost, nothing got the juices flowing in the second round of the Maktoum Challenge last week, but realistically has the fact Arrogate is nominated brought him any nearer to running? Well it’s a step, but the facts are these free nominations closed on the January 12, so he was included even before he won the Pegasus, and talk since then has hardly been positive regards his inclusion. Anyway, that is all for another day, as this week sees two Carnival fixtures with the Godolphin young guns putting their classic aspirations on the line. Saeed bin Suroor has openly admitted that he will use the UAE 1000 Guineas and Oaks as trials ahead of the Guineas back in the UK, so all eyes will be on Really Special on Thursday. She is naturally a very short price having won the trial and with the extra 200m firmly in her favour, it is hard to see her getting beaten, particularly as she largely comes up against the same bunch of fillies. Interestingly, Charlie Appleby did say on Wednesday that he would take a view on running Sobetsu in the UAE Oaks depending on what happens on Thursday, the filly here in Dubai and taking her winter training well. As too is Boynton, who, in similar vein, could run later in the Carnival depending on what happens with Godolphin’s runners in the 2000 Guineas on Saturday. The love-in for Mizbah on social media is (hopefully) very much tongue in cheek after his record breaking success over 1900m last time, but he has been found a perfect opportunity to supplement those gains in the 2000m handicap that is race three on the card. The angle is simple, he has early pace and looks the sole speed in the race, to the extent that it could almost be immaterial that he was put up 9lb for last time. I guess that, in a nutshell, explains just how one dimensional dirt racing can be. Emotionless is on a retrieval mission yet pitches up as favourite again, the longer trip at least expected to see him get in a rhythm this time, but he still comes with risks attached, which leaves the Korean raider, Triple Nine as the main danger. He was half a length behind Hunting Ground last time compared to Mizbah beating the same horse seven and a half lengths, so collaterally, he has a bit to find acknowledging the weight pull, but the Koreans are nothing if not game and expect to see him staying on, if hopefully a bit too late in the day. I will happily bypass the sprint this week, which brings me onto the penultimate contest, a 7f handicap that sees Flash Fire head the weights. Charlie Appleby did nominate him as his best chance of the weekend but he has not exactly been missed by the bookmakers and I instead prefer to give Tahanee another chance. She got no luck in running behind Fanciful Angel on her reappearance and then surprisingly tried to make all the running in the Cape Verdi, where she faded into fifth behind Very Special. 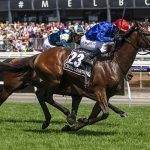 The front-running tactics will hopefully be canned, particularly with Anaerobio, Salateen and possibly even First Selection as potential front-runners, and that should enable her to confirm the promise of that initial effort. Blue is likely to be the colour in the finale, with the trusty red cap, or is it white cap, firmly on board Folkswood. He failed to run down Artigiano on his reappearance but travelled for the most part like a horse ahead of his mark with a 2lb rise not enough to compensate for that. Stall ten now compared to stall two then complicates matters to a degree but Colm O’Donoghue will have plenty of time to edge his mount over and he should be well served by the slightly shorter trip. Reverting to true Meydan turf racing style, expect them to potter around which puts Folkswood in the perfect position to go for home early in the straight and hopefully stay there.